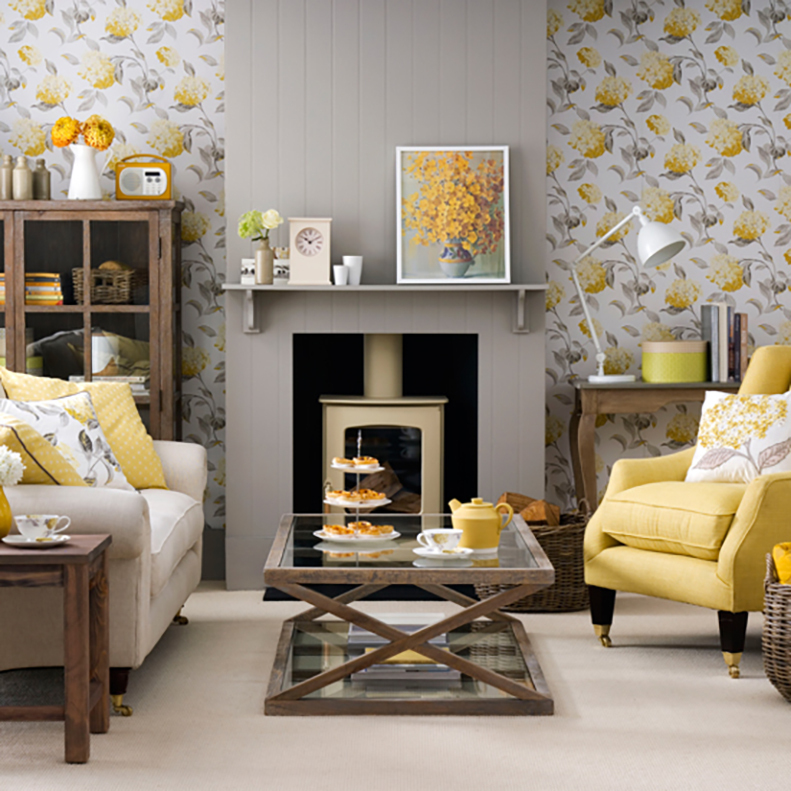 Well-chosen wallpaper can create gorgeous feature walls within your home and add a little character where paint can’t. If you are looking to add pattern and design to your home, wallpaper is the perfect thing. Colour palette can vary from cool and sophisticated monochromes, pastels to bold clashing mixtures of contrast. 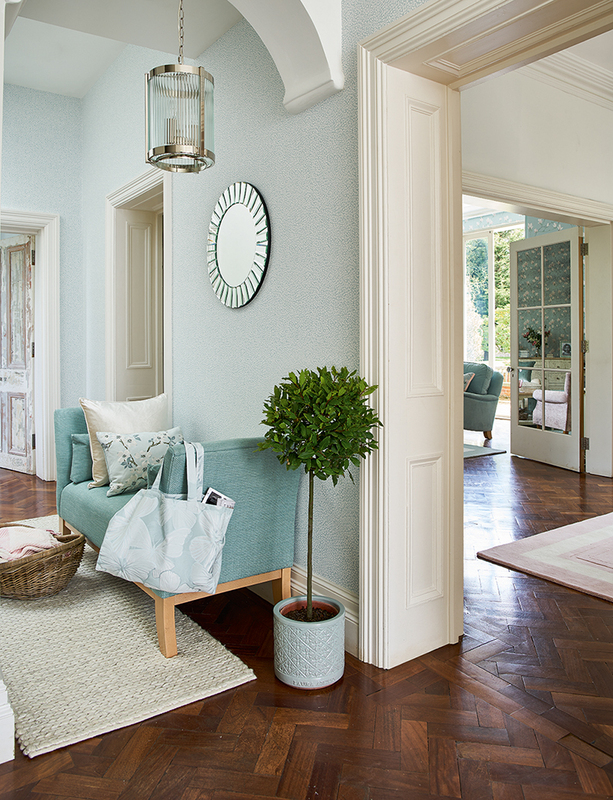 Wallpapering is not as hard as it’s made out to be providing you work in a logical, calm manner and choose paper that is relatively easy to work with, like Laura Ashley’s. Advice for making your walls shine: Make sure the batch numbers match! Wallpaper is printed in batches, so it’s important to check that any rolls you buy have the same batch number. Even if the colour of the rolls looks identical, it does not always mean they will match when they are up on your walls. 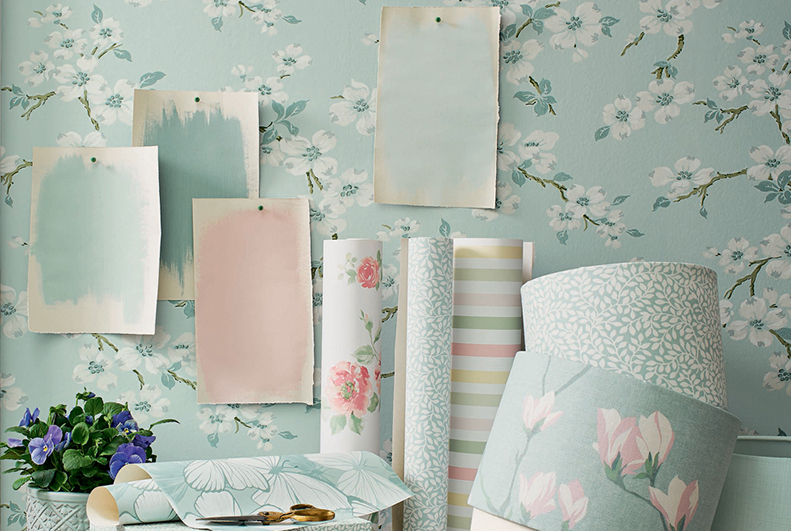 Laura Ashley first started to print wallpaper on a large scale in 1973, after Bernard Ashley (Mrs. Ashley’s husband) felt that the company needed to diversify. The first designs were taken directly from the fabrics already in production. 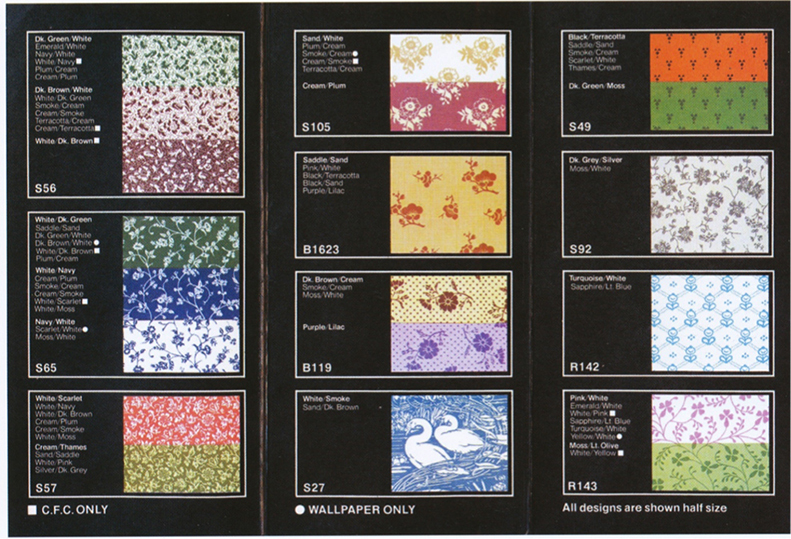 Success was so great that by 1978 all furnishing fabrics had corresponding wallpaper. 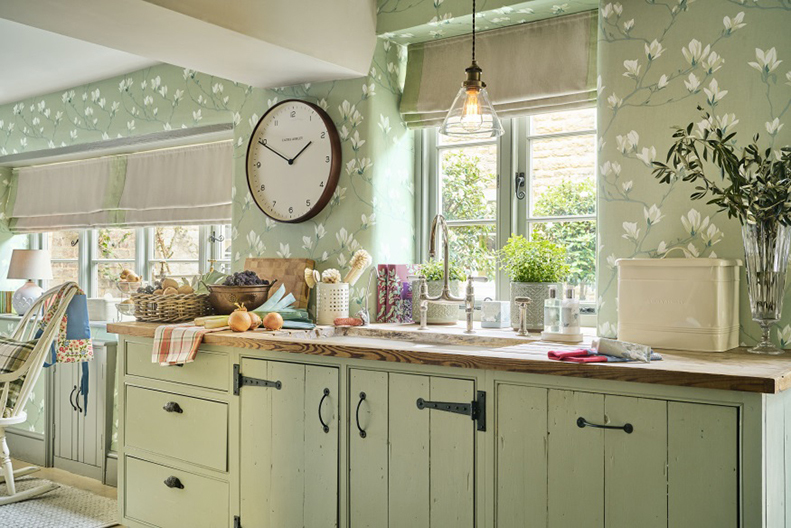 Wallpaper is a great addition to your home – it allows you to add pattern and texture into a room rather than just blocks of colour with paint. Focal walls are a quick way of updating your room, but make sure you work with the proportions of the room and pick a paper designed to suit it. If proportions are small don’t go for a large scale print, go for something a bit smaller and more subtle. I’d also say don’t be scared to try something new, grab a sample and hang it up in the space! Rather than adding to chimney wall, apply to either side of the alcoves to highlight the space and give the illusion of the alcoves coming forward. When choosing a paint to support your alternative walls, go for the predominant colour in the paper dependent on how much drama you want to add. If you needed any help with purchasing paper, make sure you check out our buying guide that gives you all the detail you need to know! You can request up to 8 free samples to help with your decision. And don’t forget to have a look at our extensive collection of beautiful wallpapers. This entry was posted in At Home, Favourite Posts and tagged accent wall, decorating, decorating tips, Design, design tips, home decor, home decorating, home makeover, interior decorating, interior design, interior designers, laura ashley, laura ashley usa, laura ashley wallpaper, wallpaper, wallpaper install, wallpaper tips, wallpapering. Bookmark the permalink.